Renault-Nissan-Mitsubishi Alliance dominates light vehicle segment. All hail the king! Volkswagen claimed the global sales crown for 2018, but just barely over Renault-Nissan-Mitsubishi. For the fifth year in a row, Volkswagen Group can again claim king-of-the-hill status as the world’s top-selling automaker. But there’s an asterisk on the sales charts. For the second year running, the Renault-Nissan-Mitsubishi Alliance narrowly nudged by its German rival to claim leadership in the light-duty vehicle market. Toyota again had to settle into third place, while General Motors slipped into a distant fourth. 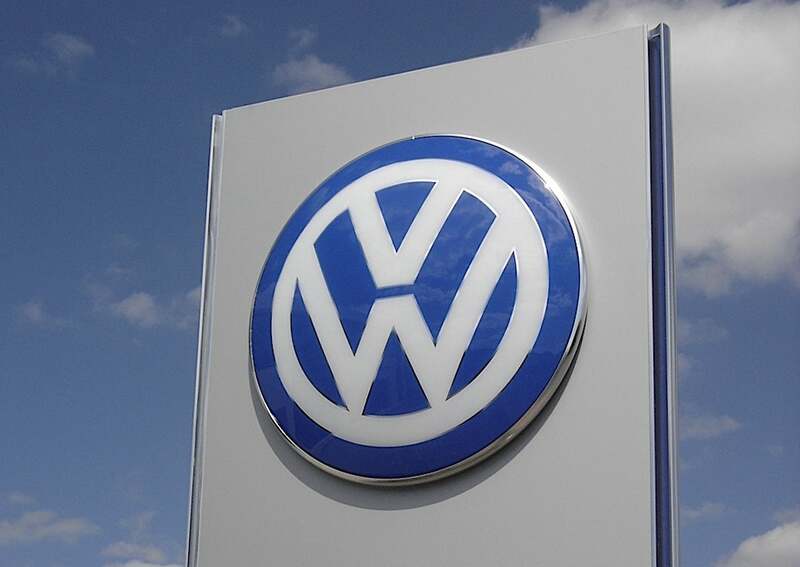 Volkswagen was able to gain the crown by factoring in its strong light truck sales which helped it reach sales of 10.83 million vehicles in 2018, a 0.9% year-over-year jump. Excluding heavy trucks sold by its MAN and Scania subsidiaries, VW sold 10.6 million vehicles. The Renault-Nissan-Mitsubishi Alliance reported global sales of 10.76 million passenger cars and light duty trucks. Unlike its German rival, none of the alliance partners sells heavy trucks. 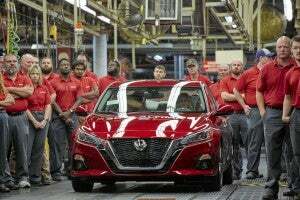 The Alliance jumped to first in the light-duty segment in 2018 after Nissan took control of Mitsubishi and the struggling Japanese maker’s sales were consolidated into the group’s total. The alliance actually might have been able to topple VW overall had it not been for a 2.8% sales dip by its biggest partner, Nissan, which saw its own sales drop to 5.65 million in 2018. Mitsubishi and Renault both reported gains for the year, the smaller Japanese brand climbing 18%, to 1.22 million, while Renault was up 3.2% to 3.88 million. Nissan's sales dropped by nearly 6 million units worldwide, costing the Renault-Nissan-Mitsubishi to global sales title in 2018. The alliance could face troubles in 2019 as it copes with the scandal triggered by its founding executive, Carlos Ghosn. The 64-year-old was arrested on Nov. 19, after his corporate jet landed in Tokyo. He stands accused of a number of financial crimes, including concealing $88 million in income, though Ghosn again stressed his innocence in an interview with Japan’s Nikkei newspaper on Wednesday. The case has led to senior level management changes across the alliance, some analysts concerned that could throw all three brands into turmoil this year. Volkswagen has largely pulled through its own scandal which was touched off by revelations it had rigged diesel engines to illegally pass emissions tests in the U.S. and other markets. The scandal has so far cost it around $30 billion and there are still legal challenges in Europe. But sales in the U.S. continued to rebound last year and VW was able to retain its lead in the critical Chinese market, its largest globally. 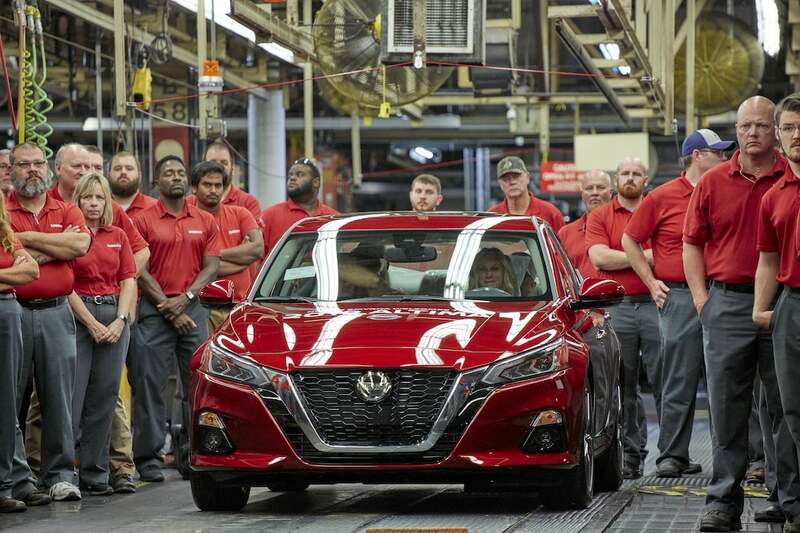 As for Toyota, the Japanese automaker surged to global leadership around the turn of the decade as, in turn, General Motors began to slip, ending almost three-quarters of a century as the best-selling automotive manufacturer. For all of 2018, Toyota sales totaled 10.59 million, a figure that includes both the flagship Toyota brand and its Lexus luxury division, as well as minicar subsidiary Daihatsu and heavy truck brand Hino Motors. 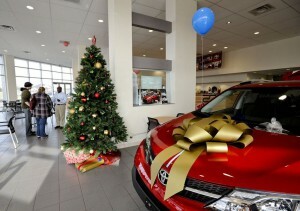 Toyota’s light vehicle total came to 10.39 million. How things will shape up this year is uncertain. Toyota has said it expects to sell a total of 10.76 million vehicles, a figure that would put it in the running to at least grab the second-place spot if the Ghosn affair unsettles operations at the Renault-Nissan-Mitsubishi Alliance. Volkswagen has outlined plans to continue growing globally and could get a boost from the launch of new light truck models in the U.S. market. But industry analysts will be watching its performance in China. The market took an unexpected tumble last year after nearly two decades of double-digit growth. It is uncertain whether demand will recover in 2019. As for General Motors, the automaker had topped 10 million for the first time in 2016 but saw that dip to 9.6 million a year later. It won’t release formal numbers for 2018 until it announces earnings next week. But industry sources anticipate the figure will come in around 8.4 million. A major part of that decline comes from the fact that sales of 681,000 Opel and Vauxhall vehicles won’t be included, that German-based subsidiary having been sold to France’s PSA Group, parent of Peugeot and Citroen. Under CEO Mary Barra, GM has been downsizing as it quits unprofitable markets including India, Russia, South Africa and Europe. It has, however, been betting on big growth in China, though few expect that to carry the carmaker back anywhere near its three now-larger rivals. This entry was posted on Wednesday, January 30th, 2019 at and is filed under Asia Pacific, Automakers, Automobiles, Business, China, Europe, Executives, Markets, Mitsubishi, Monthly Results, NAFTA, Nissan, Personalities, Renault, Sales, Sales, South America, Toyota, Trends, U.S./North America, Volkswagen. You can follow any responses to this entry through the RSS 2.0 feed. Both comments and pings are currently closed. “…a 2.8% sales dip by… Nissan…” Did that dip have anything to do with the Carlos situation? Probably not. Came late in the year and I doubt many buyers skipped Nissan in protest. That said, the turmoil within could affect key decision-making in 2019.